(Police State Daily) Cannabis legalization has been a highly contested issue in Massachusetts during the last decade. Possession of less than an ounce of the drug was first decriminalized in 2008. A 2012 law then allowed for 35 outlets to be licensed to sell medical marijuana. Finally, recreational use was legalized at the end of last year. The process has been arduous. After legalizing medical use of cannabis, the state was apprehensive about issuing licenses amid a mountain of regulations and outright refused to license some businesses that were attempting to meet market demand. In one such case, a judge ruled that a company was improperly denied licenses, and ordered state regulators to allow the owners to move forward with plans to open dispensaries in both Mashpee and Plymouth. Massachusetts even cracked down on so-called “marijuana caregivers,” an occupation sanctioned to fill medical demand by allowing licensed growers to sell the drug to no more than one patient until the dispensary industry blossomed, but this did not occur due to regulatory impediments. The worst is not over for marijuana users however. According to court records, arrests for pot-related offenses are still occurring in the state, and in some cases, police are still refusing to give back the now legal confiscated drug. The Massachusetts Marijuana Legalization Initiative was approved by voters on November 8, 2016. Also known as “Question 4,” the ballot measure proposed that marijuana be regulated like alcoholic beverages. The law went into effect on December 15. As such, the law allows legalized possession of an ounce of marijuana in public and up to 10 ounces at home for individuals 21-years and older, and allows a dozen plants to be grown on their property. Retail sale of cannabis is also permitted under the law, but recreational pot shops probably won’t open until next year. 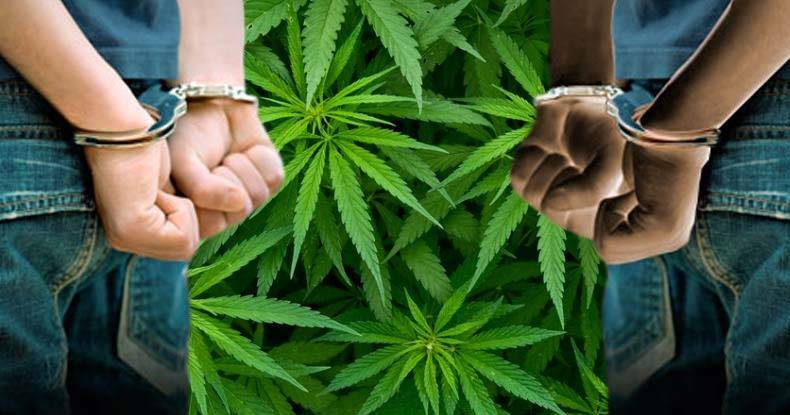 Until that time marijuana buyers and sellers still face arrest, the result of a redundancy in the law that is leaving individuals with charges and criminal records they would not otherwise have under it’s full implementation. Additionally, users are still being charged with possession. Essex and Suffolk County courts for example, have arraigned at least 101 people for charges ranging from possession with intent to distribute to felony trafficking since recreational use of marijuana was legalized last year, according to court records. Also, Massachusetts state police have charged at least 76 people with pot-related offenses since legalization, 13 of which who were arrested only for mere possession. Federal bureaucrats and activist judges have taken this clause to mean that anything “effecting interstate commerce” can be regulated under federal law. This misapplication of one of the federal government’s enumerated powers has lead to a levitation super state that has sought to regulate nearly every economic activity in the country. This interpretation of the Interstate Commerce Clause contradicts the prevailing view among the Founders that most regulation would be left to the states. Indeed, a legal analysis of the meaning of “Commerce” in the Commerce Clause reveals that it should rightly only apply to “trade” and associated activities conducted across state lines, and does not apply to the intrastate selling and buying of marijuana, its possession, or it’s cultivation. One example that illustrates the absurdity and misinterpretation of the Interstate Commerce Clause is the Supreme Court case Wickard v. Filburn. In 1941, Ohio farmer Roscoe Filburn was ordered to pay a penalty of $117.11 for growing wheat used to feed animals on his own farm. Filburn had defied federal limits on wheat production based on acreage owned by a farmer. The quotas had been implemented with the objective of stabilizing wheat prices. Someone growing marijuana in their yard is hardly interstate commerce. Indeed, it may never leave that address, let alone cross state lines. Add to that the fact that the Constitution clearly reserves “police powers”– the historic general authority to make laws about health, safety, welfare and commerce–to the states; they’re not delegated to the federal government. The fact is regulating marijuana is not a power the Constitution spells out as a federal one, so it is for the states to handle, or the people to keep for themselves via the Tenth Amendment. Keep in mind that this plant existed at the time of the founders, as did others that had similar effects. And yet the federal government did not regulate them. Instead, they chose to leave it to the states, which, for the most part, also chose not to regulate it until the last century or so. Indeed, an early federal prohibition against marijuana, the Marihuana Tax Act of 1937, was later found unconstitutional on the grounds that it required self incrimination. A new law was quickly put in place and the prohibition evolved from there, never really squaring with the fact that this is clearly an area of the law that should remain under state jurisdiction. Four months after the approval of Question 4, Massachusetts is still struggling with the implementation and interpretation of the law. Debate continues to rage on all sides about the most prudent way to regulate cannabis. On one side are marijuana and civil liberties advocates that just want what they voted for in December. On the other side are state regulators who seek to enrich themselves and their financial contributors by doling out preferential treatment via the licensing process involved in opening recreational dispensaries and growing operations. Joining them in attempting to tamper with the new law are, of coarse, the police. It appears that officers will continue to punitively make marijuana arrests in order to fill local government coffers at the expense of individual liberties in the state. Doing so allows them to seize property and cash they deem to be involved in drug activity. According to the Institute for Justice, Massachusetts ranks among the worst states for its civil asset forfeiture laws.